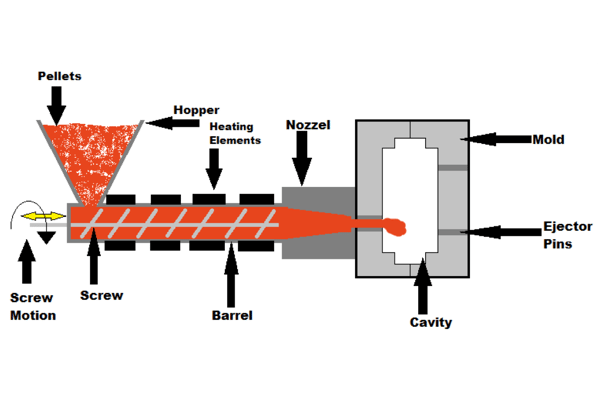 Molten metal is forced into a die using pressure. 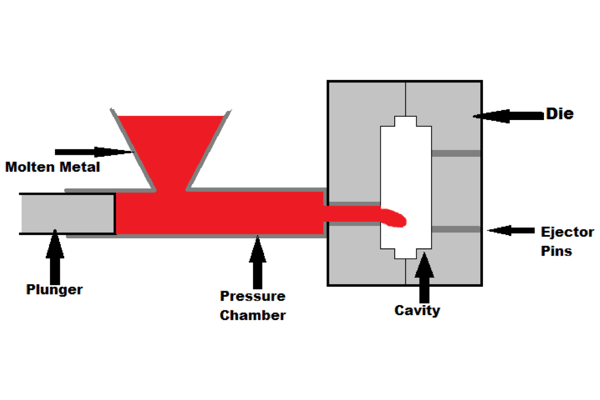 Plastic pellets are melted then forced into a die using pressure. Thermoplastics- ABS, Polypropylene, HDPE, LDPE, PVC, Nylon, Acrylic. Detailed features and complex geometry possible, multiple plastics can be combined, fillers can be added to change properties, high efficiency. Pattern is covered in a ceramic slurry, then burned out after the slurry dries. Molten metal is poured and the mold broken. Most ferrous and nonferrous metals- Carbon, tool, and stainless steel. Aluminum, magnesium, copper based alloys. Great surface finish and no parting line, can be used for complex designs can include undercuts, can make parts a machine (mill or lathe) can't. 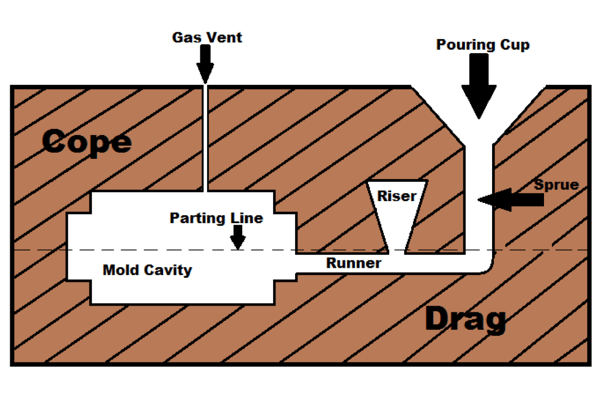 Molten metal is poured into a reusable, permanent mold, using gravity to fill the mold cavity. Aluminum, magnesium, copper alloys and zinc alloys. If a graphite mold is used, iron and steel can be cast this way. Smooth surface finish, good dimentional accuracy, fast production time, can make parts with internal pockets using sand core inserts, low scrap rate. Sand is packed around a reusable pattern to create a mold. Molten metal is poured and the mold is broken to remove the part when cool. Iron, brass, bronze aluminum alloys. Least expensive option for small volume production, can be used to make large parts, low post-casting tool cost, sand is reusable. 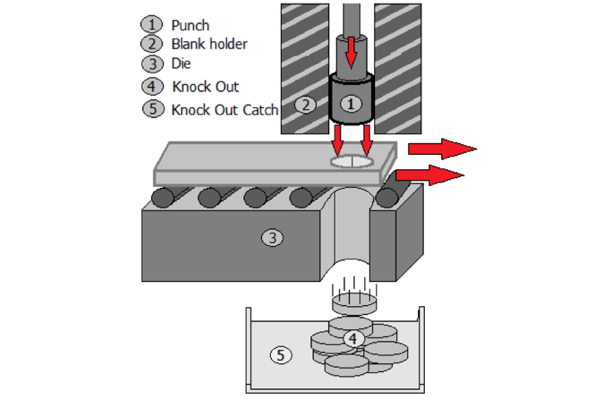 Dies and punches are used to cut, bend, and stretch sheet metal to create the part. Cold rolled and stainless steel, brass copper and aluminum. 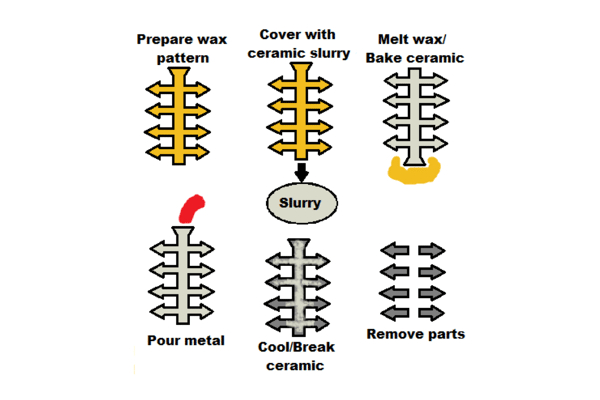 Repeatablility and part to part consistancy, fast cycle time, low cost per part. Sheet metal is bent into the desired shape either with or without a die. 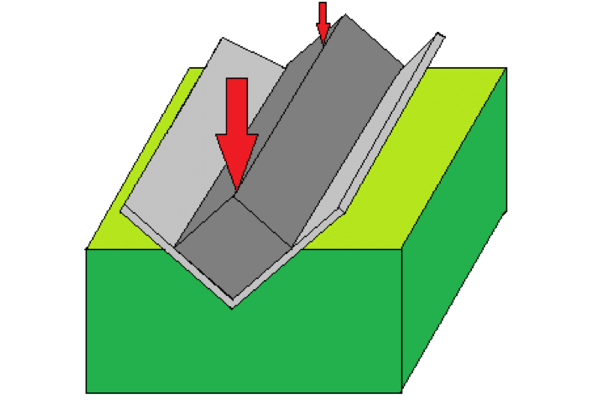 Bends can be on edges or in the middle of the sheet. Sheet thickness maintained, variety of angles and geometries possible, good repeatability. 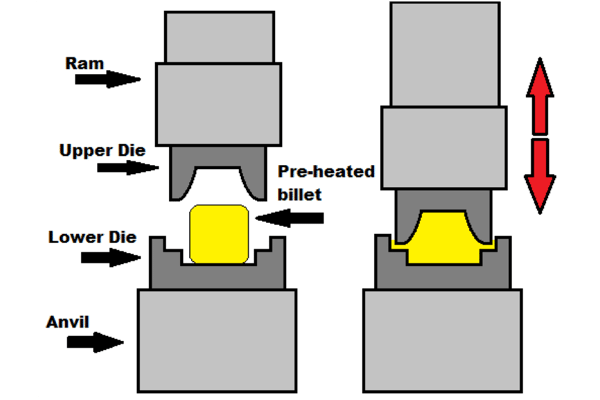 Heated billets of metal are shaped through hammering between two dies. Carbon, alloy and stainess steels. 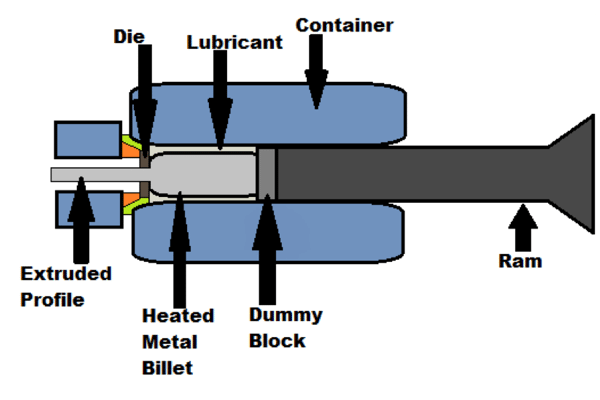 Aluminum, titanium, brass, copper and high temperature alloys. Great control over mechanical properties because of control of grain growth, flexible for many different sizes, shapes, and materials. 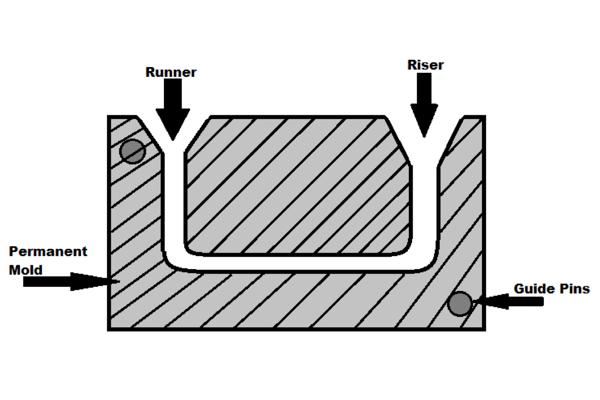 Heated metal is forced through a die to create rods, pipes, or profiles of a new cross-section. Continuous, efficient high volume production, low cost per pound, large variety of cross-sections possible.